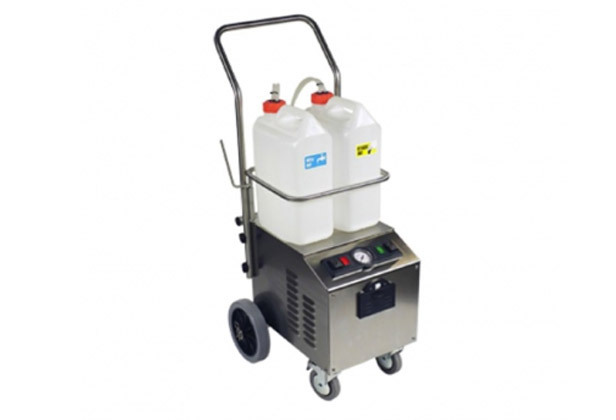 The 10 Litre Detergent Vapour Steam Cleaner specifically for continuous use with detergents or other additives at low dosage. A special controller regulates the injection of detergents into the steam, greatly enhancing the speed and efficiency of the steam. It is ideal for the removal of hard to clean items such as chewing gum, grease, baked on food residue, mold, etc. 10 litre canisters for water and detergent allow for hours of non stop use. Compact, robust and extremely flexible.